Drywall hanging and finishing are tough jobs. Tradesmen come and go, so the builder has to apply his own standards to both the installation and the finishing, and make sure it gets done that way. It can be difficult with the low level of lighting available on a construction site at the drywall stage to see every surface that may need additional sanding or another coat of mud, so we use a spot light to review the wall finish before releasing it for paint. The number and type of fasteners used are also important to help prevent seams from opening up in the future. 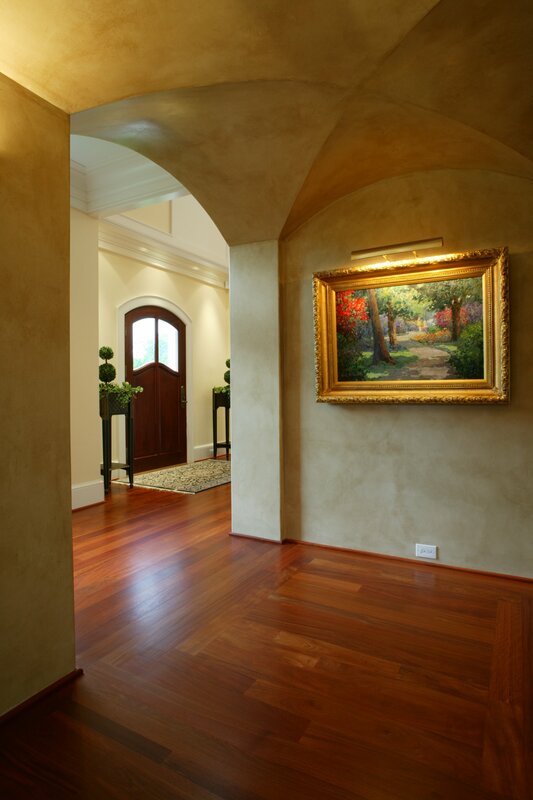 Painting is a trade in which the costs can vary markedly depending on the level of craftsmanship desired. A top notch job involves more sanding than you might think in order to prepare surfaces in a manner that yields a superior outcome. A really great paint job, or a poor one, has a huge effect on how clients feel about the quality of their home. Poor quality paints can mean extra coats to achieve good coverage, which does not save money. Good painters are picky, picky, picky about their work. At the “rough-ins” stage, the systems installed by the heating and air, electrical, and plumbing trades, are all competing for space, sometimes the same space! Even with well designed systems, it sometimes happens that lines running concurrently or crossing one another can require more room than is available. Experienced and cooperative trade partners will happily work out solutions. When the rough-ins are complete, the lines should look like a modern planned network of highways and neighborhoods, not a medieval village where whatever sprung up is what sprung up. Messy might function too, but order anticipates the future, where a repair or expansion can be made easier if the original work is logical and neatly done. To a skilled tradesman, it is a shame that all their work gets covered over. Your selections of appliances, lighting fixtures, and plumbing fixtures must be complete by the rough in stage. Size and style of components affect placement of wiring and circuits needed, piping locations, and height of installation. Changes to selections after the rough in stage may increase costs!